If we were having coffee, I would tell that that the temperature has dropped suddenly by 10 degrees celsius. During the past week it was extremely hot and humid – on Wednesday it was unbearable to be outside at midday. I was lucky, though, as the academic school year had begun and I have air conditioning in my room. If we were having coffee, I would tell you that after the Labour Day holiday on Monday, I met my new group of students for this year. My group consists of fourteen grade 1 students and six grade 2 students. As expected, they were very quiet the first two days. By Friday, however, they were comfortable enough during the activity time to be extremely chatty – now they need to learn to whisper when they are chatting! The first four days back at school went well. I am still establishing routines and expected behaviours. As each day passes I am getting to know my students and soon I will know what their needs are. I am currently still setting up their notebooks and folders while keeping up with the daily tasks of my job. As always, there are deadlines at this time of year and I will check them off one by one. Each day I have arrived home exhausted – a person forgets how exhausting establishing habits can be. Yesterday when I locked my classroom door, the room had begun to take on the artistry of the students in my classroom. Bit by bit the walls will look less bare and reflect the children that inhabit it during the day. If we were having coffee, I would tell you that now my weekends will reflect the routines of the school year as well: laundry, grocery shopping, household chores and, of course, Zumba. I wish you a wonderful week. May it be a positive one. Ah Colline, that looks like a wonderful, happy classroom!! Enjoy this new school year, and this weekend. 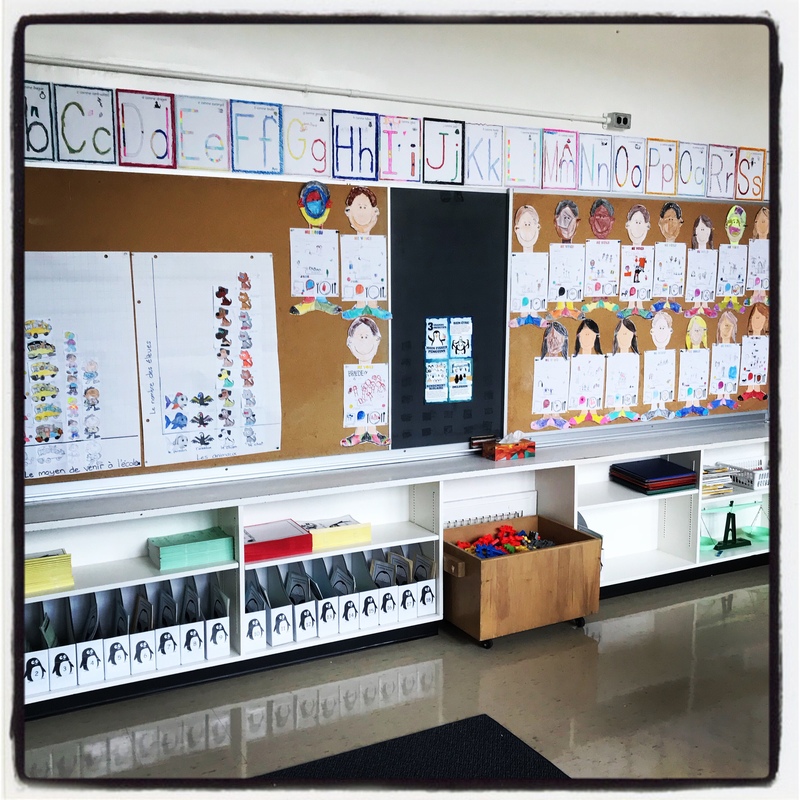 It is a cool idea that the room takes on the personality of the students that use it. It is their room, so it should. Sounds like a good first week. Have a great weekend! Each year the room looks different depending on the artistry of the children I work with and the things that they enjoy doing. They’re a lucky bunch to have someone so dedicated to her job, Colline. 🙂 🙂 You’ve earned a little reading time, along with the chores. I’m trying to remember what I’ve done of interest this week. It was a pretty normal one. Sounds awful if I say that the highlight was a funeral yesterday, but the deceased was a well-loved 82 year old, and it was wonderful to celebrate his life with friends I don’t often see. One of the expectations of a funeral, for me, is reminiscing about the loved one who has passed with others that loved that person too. Your students are so fortunate to have you Colline. Have a great week and scholastic year. Thank you so much Gary. I do enjoy working with them. Have a great school year! Looking forward to seeing and hearing about the projects you’ll take them through.. Always fun to watch.. Thank you. I love sharing the good work that my students do. I am happy you are settling back into your teaching, Colline. Such a long holiday is a bit disruptive to routine. I feel drained when I do a day training course for our audit partners and that is very post-grad. Children, now that would be exhausting. At the moment they are still in Summer-mode. The temperatures have dropped this weekend and that will help, I think, to get everyone (child and adult) back into the school routine.